Unlike seemingly everybody else, I don’t know any famous actors. However, I do have personal ties to a character from a new Danish biopic who was famous, wasn’t, and now because of the movie is famous again. The title characters of Flame & Citron are two young Danish resistance fighters in World War II who killed other Danes who were allegedly collaborating with the Nazis. The real “Flame” — Bent Farschou Hviid (nicknamed for his red hair) — was my late mother’s first cousin, which made him my first cousin once removed. I had never heard of Bent until I went on vacation last month to my hometown of Cleveland, Ohio. My aunt, Maryellen Olson Geiger, was also visiting, and at one point she asked my relatives and me if we knew of this new Danish film playing in art houses across the country. We said no. And so she explained that the movie recounts the story of her cousin. Tell us more, we said. Director Ole Christian Madsen, who wrote the script with Lars K. Andersen, spent about a decade bringing the story of these two resistance fighters to life. During the war and immediately afterward, Bent and his killing partner, Jorgen Haagen Schmith (nicknamed Citron because he had worked in a car factory in the Danish town of Citronen), were well known in Denmark and throughout Europe. They even had a pricey bounty put on their heads by the Nazis. In 1951, President Harry S. Truman posthumously awarded the U.S. Medal of Freedom to the two. Bent’s family donated his award to the Danish National Museum, where it is still on display. So how did most of our part of the family not know about Bent? My grandfather — Bent’s uncle, Karlo Eduard Hviid — was a tall-ship sailor during the early 1900s and eventually emigrated here before 1920. He changed his name to Charles Weed to fit in better in America, eventually moved to Cleveland, and made his mark selling life insurance. He never went back to Denmark. “He kept touch through letters with some family, but like all the immigrants in those days, it was all about being an American,” my aunt said. My grandfather died in 1964 and my mother in 1975, so much of my Danish family history had faded away before I was a teen. My aunt first learned about Bent during a trip to Denmark in the 1980s but did not get much detail. Director/co-writer Madsen spoke with Swanstrom and with his grandmother – Bent’s sister Marie Louise – while doing research for the film. Madsen’s take is dark and brooding, with an emphasis on what happens to people who become killers in isolation. The common theme is that war has no rules and that those working in underground resistance movements are soldiers without a front. Bent was born in 1921, and his parents ran a small hotel near Copenhagen. While Bent was in his late teens, he was sent by his father to Germany to train as a chef and hotel manager. According to the movie, Bent became disgusted when he saw the Nazis’ treatment of Jews, especially when a Jewish woman who worked at the hotel was hauled off. When he made it back to Denmark, he joined up with the Holger Danske resistance movement. 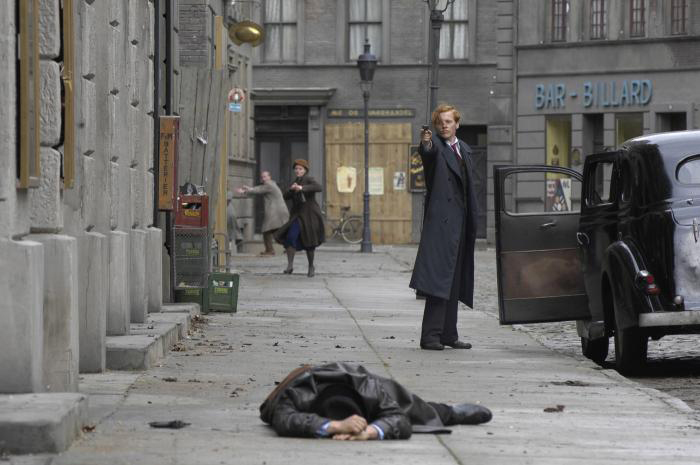 Bent/Flame (played by Thure Lindhardt) and Citron (Mads Mikkelsen) took their killing orders from the Danish resistance leadership, who worked closely with the British command and Swedish intelligence. The two men offed Nazi informants, editors of propaganda papers, and other Danish collaborators. But out of fear of retaliation, the resistance leadership ordered that no Nazi officers be killed. The killings portrayed by Madsen are horrifically brutal and unemotional. And sometimes very sloppy. Historians estimate that Flame and Citron killed between 20 and 30 alleged Nazis and their sympathizers during the course of about a year. But as the film accurately shows, war is a business, and the good and evil often intermingle. At one point during their killing spree, the two men realize that they are merely killing enemies of the resistance leadership, people who had nothing to do with the Nazis but were just on the leadership’s bad side. In the end, the resistance movement ostracizes Flame and Citron for going against orders and killing some German officers, leaving the two freedom fighters to fend for themselves. 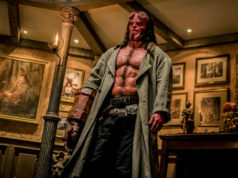 In watching this movie, I must say I was mesmerized by Flame, given my connection to him. But Madsen doesn’t give us much detail on the fighters’ personalities. Flame is somewhat arrogant and confident but largely unemotional. Citron is a pill-popping getaway driver with a tumultuous personal life. For me, this whole experience was an eye-opener. I’ve now gone online and found actual photos of Bent. I also heard a story from some of my Danish relatives that he often conducted his assassinations from a bicycle. And I saw a photo of a Copenhagen memorial to Bent. Carved in stone are the words “De Bedste Maa Do (“The Best Have to Die”).